Just bought the EufyCam E as soon as I saw the price drop on Amazon. Currently owned a Ring Doorbell and 2 Blink Cameras. Must say...I love these new cameras. The push alerts stopped working all of a sudden. Not sure if it’s because I set the schedule for home/away...but recently all push alerts stopped sending. Already checked iOS settings and updated to newest app version and firmware. Even uninstalled and reinstalled the iOS app. The motion is detected correctly and recording video...just no push alerts. Anyone else having this issue? 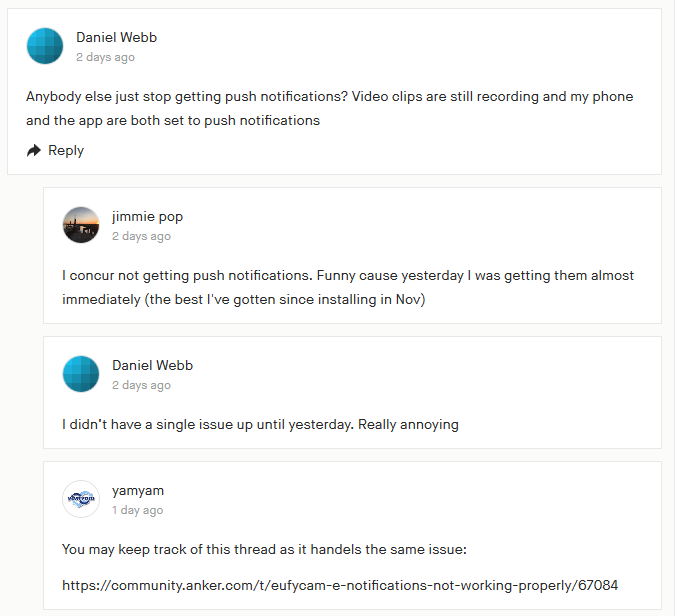 Several people here in the forum and even at kickstarter have reported this issue. Me personally don't have this problem. But maybe i have an older firmware and that is the reason why i am so far spared. So maybe a newer one is causing this issue?! Wouldn't be the first time that a(n untested) new firmware is making trouble and having bugs. ... then i am very happy about to be not up to date this time! 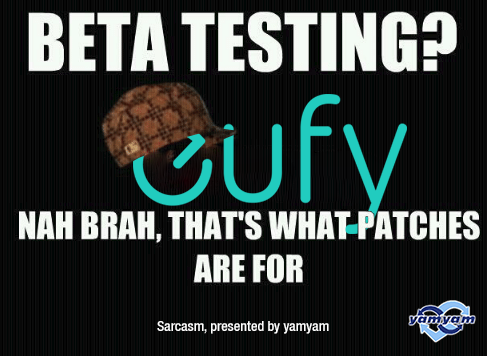 As this is not the first time that updates are bugy or causing issues in the past few months, eufy should realy and finally work at their quality and testing management! Especiall as it always takes too much time to "hotfix" the "fix" ... or to "patch" the "update"
Got 2 new cameras a few days ago. setup was clear and easy. All worked except the notifications. deleted and re added the 2 cameras and that fixed it. Thank you to let us know your concerns, the eufy security team is trying to solve this problem as soon as possible.